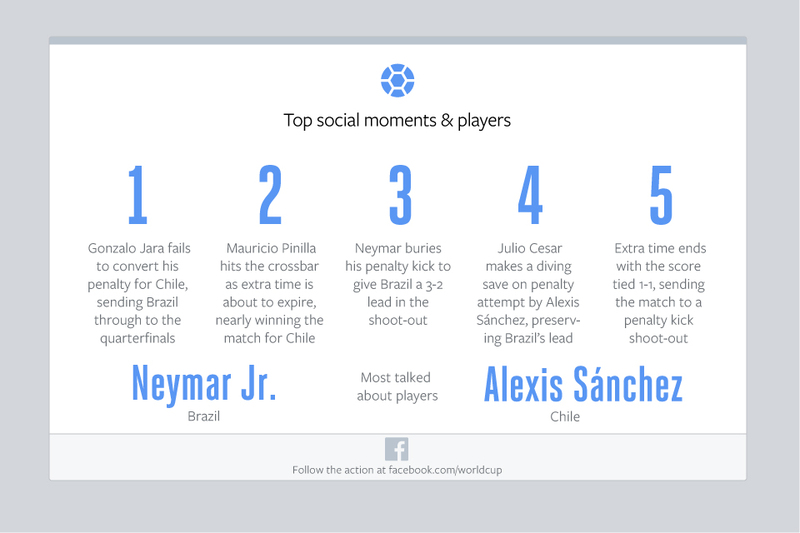 Host Brazil’s shootout victory over Chile Saturday in the first match of the elimination round of 2014 FIFA World Cup Brazil resulted in some 75 million Facebook interactions (posts, comments, and likes) from more than 31 million users, according to the Facebook Data Science Team. 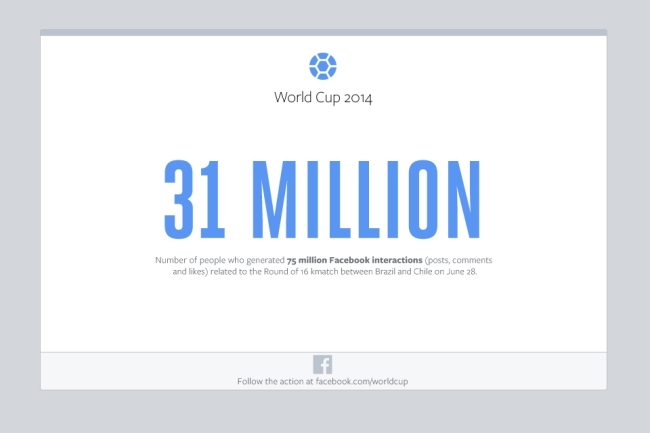 Facebook users in Brazil alone accounted for some 30 million interactions from more than 11 million users of the social network. Gonzalo Jara of Chile fails to convert the game’s final penalty kick, hitting the crossbar, clinching the victory for Brazil. Mauricio Pinilla of Chile hits the crossbar as extra time is about to expire, nearly winning the match for his club. Neymar converts on his penalty kick, giving Brazil a 3-2 edge in the shootout. Brazil Goalie Julio César makes a diving save on the penalty kick of Chile’s Sánchez, preserving Brazil’s 1-0 shootout lead. Extra time ends with the score tied at 1-1, sending the match to a shootout. 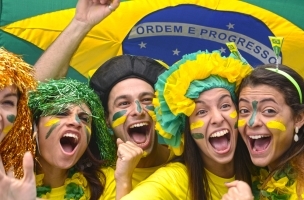 Image of Brazilian soccer fans courtesy of Shutterstock.